"History may be searched in vain for an equal march of infantry"
The Mormon Battalion, of some 500 men marched through this area during November of 1846. The march covered over 2000 miles from Council Bluffs, Iowa to San Diego, California. 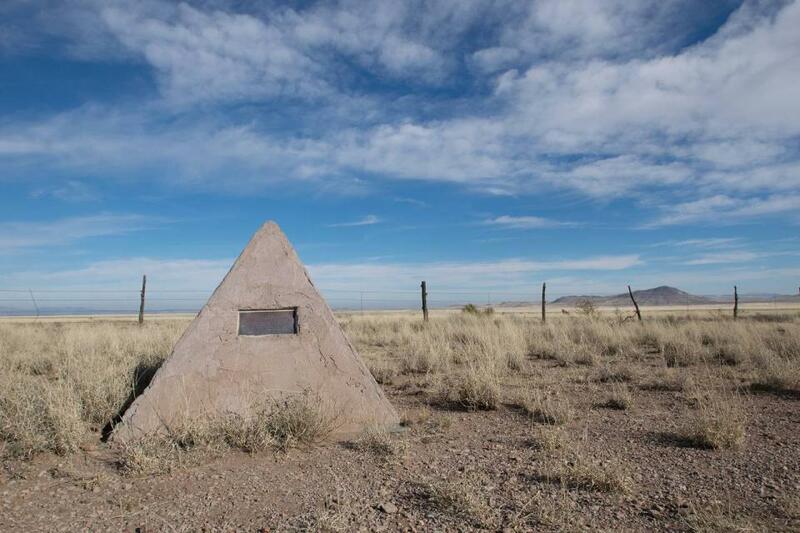 The marker is a pyramid shape on the right side of the road going north about halfway between Nutt and the ghost town of Lake Valley. This marker can also be identified by its HM code. You can use the hashtag #HMPMV in tweets, and any other place where you might refer to this marker, including when searching on this site.